Chicahauk Classic is a custom-built home and absolutely gorgeous! The attention to detail is flawless. The ambiance is warm and inviting, and the large lot, which backs up to a wooded common area, creates a private sanctuary. Some of the extensive features include, Australian cypress floors on the main level, natural cherry cabinetry in kitchen, living room, and master bath, a handcrafted fireplace mantle, and high end appliances. The spacious, screened porch provides a lovely outdoor living space overlooking the pool. The custom salt water pool includes a wet deck, perfect for your chaise lounge and a book, beautiful tiling, and a river rock bottom with a “sandy” appearance. The cabana includes an outdoor shower and toilet. Enjoy a short walk to the beach via the Chicahauk path, or to Chicahauk Park with tennis courts, bocce, basketball, picnic area, and ball field. Beautiful, spacious great room with vaulted ceilings, wood floors, and fireplace. Formal dining area, powder room and screened porch with sitting area and table for an outdoor meal. Large kitchen with high end appliances, pantry and eat-in area. Master bedroom (with King, private bathroom with double sink, soaking tub and stand up tiled shower). Utility room with washer and dryer and access to the two car garage. Beautiful, landscaped, salt water pool (with outdoor shower and toilet). Loft area with reading nook and three master bedrooms all with private bathrooms (2 with Queen, 1 with 2 Twins). 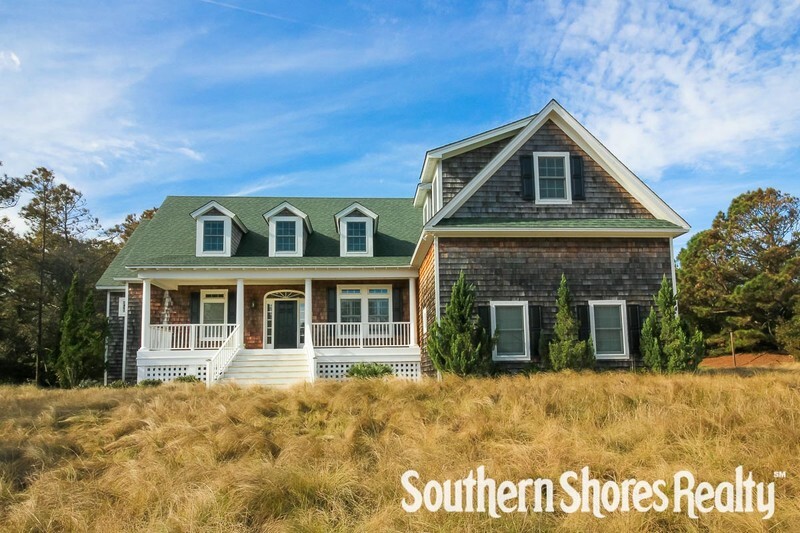 Chicahauk Classic is located in the town of Southern Shores, centrally located on the Outer Banks. A short ride to the Town of Duck will have you walking along the soundside boardwalk where you can enjoy the breathtaking sunset views, the many local shops and outstanding restaurants. Book your week in this OBX rental house and start counting down the days to a memorable escape with your family! This was our third year in a row, renting this fabulous home. I cannot say enough about it - it is quite comfortable and beautiful. There is a want for nothing - it has everything. Highly recommended.